When it comes to purchasing plants near Thirsk, you have the option of going with a retail store or buying plants near Thirsk from a local nursery. While it may be cheaper to buy plants from a retail store, they do come at the cost of higher chance of dying out quickly or being infected with pests. Whether you are looking to renew your home’s landscaping or starting from scratch, getting the plants and flowers from the right place could make a world of a difference. no worries about foreign pests. Plants are quite delicate. When they don’t get proper care, they can die from the inside without showing any signs of it based on an outward appearance. Plants that you buy at a big department store are not as healthy as plants that you buy at a nursery near Thirsk. This is because retail stores buy plants in bulk at wholesale prices to get the cheapest rates. Department stores offer a range of products and are more interested in selling gardening supplies. Plants are a peripheral product for big stores. Nurseries are more dedicated to ensuring good health of plants because they are our core product. If you are looking to buy plants near Thirsk, Whitegates garden centre is the perfect choice as you can be sure that our plants are healthy, inside and out. 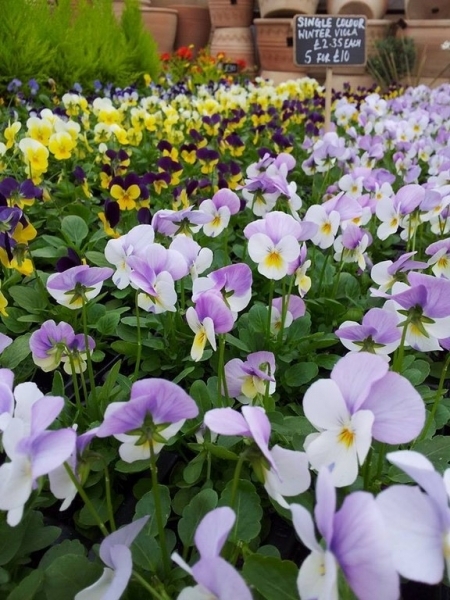 Whitegates Nursery has a wide range of bedding plants, fruit plants, houseplants and much more. Retail store clerks, as helpful as they might be, cannot be expected to be completely knowledgeable about plants. When you buy your plants near Thirsk from a nursery, you can learn the particulars about its characteristics. When you buy your plants with us, you can ask our experienced employees how to care for it properly. You can also inquire about expected plant disease, fungus and insects or make inquiries about the type of soil you should use at the time of purchase. Plants bought from a retail store are susceptible to disease, pests and insects. Retailers only keep a small inventory on hand. As pests can only destroy a small number of plants, they don’t really prioritize keeping them pest free. Nurseries have to make sure that plants are free from foreign pests as even a single infected plant can quickly spread and destroy a good deal of inventory. This is why we put a high emphasis on keeping our fruit, vegetable, flower and houseplants free from all sorts of pests. When you buy your plants in Thirsk from our nursery, you have no need to be worried about the possibility of pests and insects. You can buy all kinds of plants near Thirsk from the Whitegates nursery. You can also book an order on the phone and pick your order up at the store at your convenience.